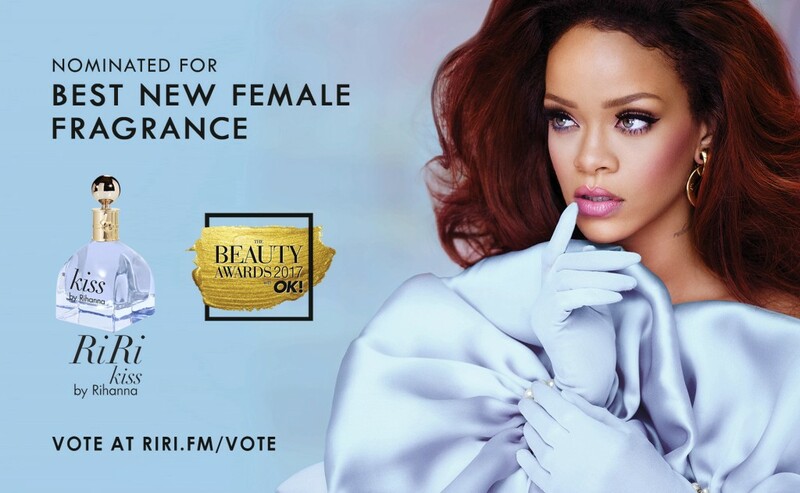 Kiss by Rihanna Nominated for Best New Female Fragrance! RiRi Kiss by Rihanna has been nominated nominated as OK Magazine's 2017 Best New Female Fragrance in this year's Beauty Awards. Vote for it here: https://riri.fm/vote. Barbados Street Named Rihanna Drive!